By choosing dedicated Ubuntu cloud server hosting, you get the total use of an Ubuntu server. It's an ideal solution for sites with high traffic volumes. Ubuntu is one of the Linux distribution that is a derivative of Debian Linux distribution and distributed as free software (Free Open Source Software). Ubuntu focuses on usability in the dysfunction availability, security and stability. Besides Ubuntu also focuses on internationalization and accessibility to be able to reach as many people. In terms of safety, the device can sudo temporarily increase the privilage to perform administrative tasks, so it can continue to root account is locked, and preventing people do not terauthorisasi making system changes or opening security flaws. You can download a copy of the Ubuntu installation image onto a CD or pen drive and start the installation right away. You can also try the software without installing. Ubuntu includes its own cloud storage service, Ubuntu One, which makes it easy to move to the cloud – something utterly missing in Debian. Installing new software on Linux is like battling a honey badger in a cage – never easy and seldom safe. The Ubuntu software center makes package installation somewhat easier, giving you access to popular tools and software with zero mucking around with sudo. Ubuntu’s media (pictures, videos, music) management is very user-friendly – almost like OS X or Windows 7. This is a clear advantage for home and casual users who want to use Ubuntu as their primary computer. GIMP is a highly capable, free alternative to Photoshop. Alternative to MS Office. Works with Word, Excel and PowerPoint files. Powerful media player that can run most media files without additional codecs. Gaming has always been a bone of contention between Windows and Linux users. The recent addition of Steam support in Ubuntu should quell some concerns for Linux users. You won’t miss much on Ubuntu when it comes to web browsers. The only major browser missing from Ubuntu is IE, although there’s little chance of anyone ruing its absence. Get Your Best Ubuntu Linux Server Hosting with ASPHostPortal.com! 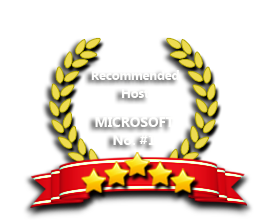 Our complete hosting environment and network is fully secured. We have chosen to work with the best hardware. We have built our business on providing our customers with premium support whether its by email. If you need any help along the way, you can rely on our 24/7 ASPHostPortal.com support team to help.